Samsung has just introduced its two new phones Galaxy A3 and Galaxy A5 which are the metallic devices and the most slimmest phones by the company having plastic bodies. Galaxy A3 is 6.9mm thick while Galaxy A5 is 6.7mm thick. Both the devices will come in 5 MegaPixel front camera. 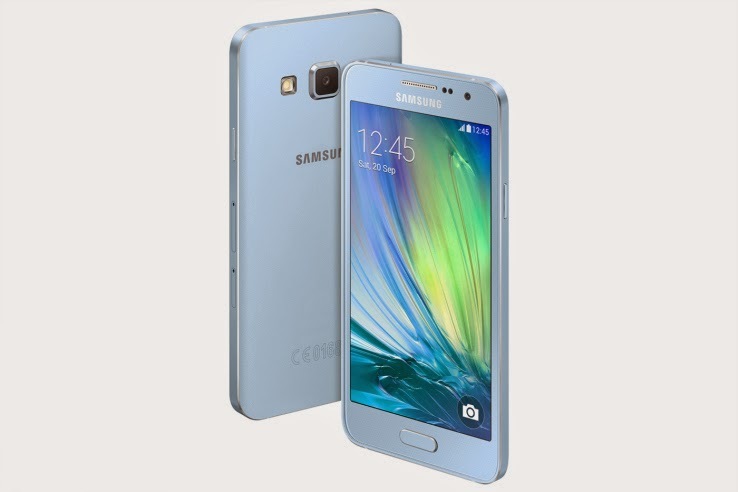 Galaxy A5 is a good looking phone which is having a 5-inch screen, 15 Megapixels secondary camera and 2 GB of RAM. It runs on 1.2 GHz Quad-core processor. Galaxy A3 is having a small 4.5-inch screen with 1.2 GHz Quad-core processor containing 1 GB ram. It is having a 8 Megapixel rear camera which is capacle of clicking clear pictures with new camera features. Both the devices are based on Android L 5.0 having memory card slots and supports 4G connection. Since the Price of Galaxy A3 and Galaxy A5 are not yet revealed, we will update after getting the price information. So Keep in Touch!